Rena and Neil's big day has arrived, and we're wasting no time in checking out what today's Indian bride is wearing for her walk down the aisle! 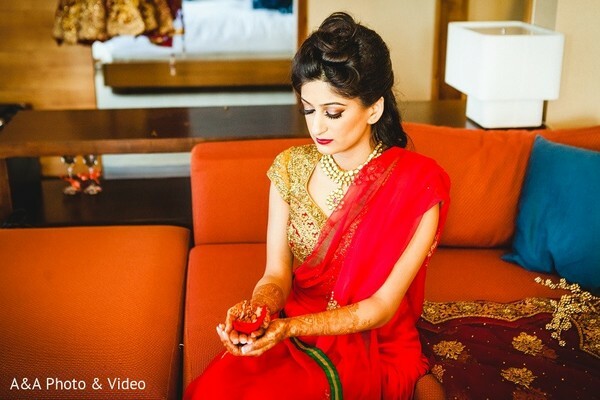 The photographers from A&A Photo & Video have snapped up some memorable moments of Rena as she gets ready with the help of her hair and makeup specialist, Kanwal Batool! 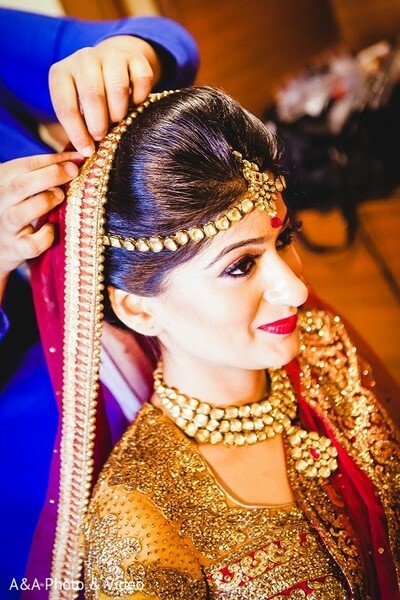 Her professional MUA has worked some Maharani style magic on her smoky eyes and bright red lips to go along with her dazzling wedding lengha by Rohit Verma. 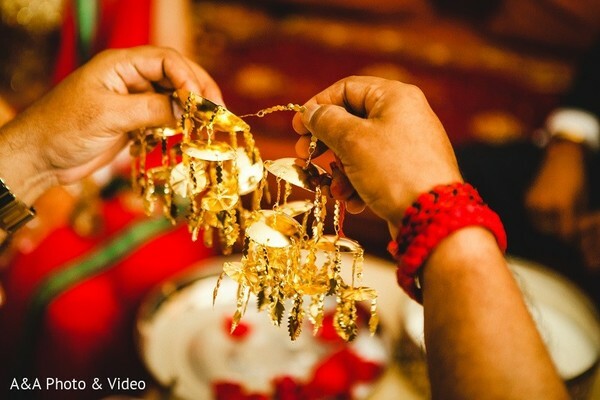 Before she says I do in what promises to be one of the most unforgettable Indian wedding ceremonies ever, Rena heads to her first look photo shoot to reveal her bridal fashions to her hubby-to-be. I'll be giving you all the exclusive details from this lovable twosome's ceremony in just a bit, but before I do, visit the complete gallery for a sneak peek at what's still to come today in this wondrous wedding event planned by Ring to Aisle Events! It's nearly time for Rena and Neil to say I do! Don't miss out!